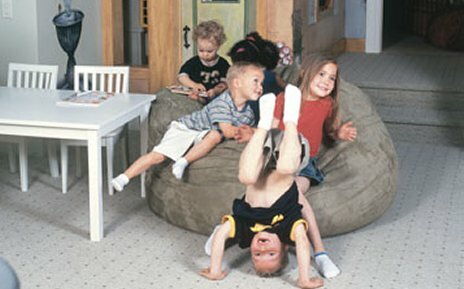 The Junior ShaggyBag is about 4' in diameter and comfortably seats one adult or two kids. The cover of your new Shaggy Bag, because it is made of the highest quality microsuede, is naturally stain-resistant. But, if you end up spilling something on the bag that appears to have stained it, please take the cover off, and throw it in the washing machine (I know, it's not likely that YOU would do something like that). The covers are 100% machine-washable. 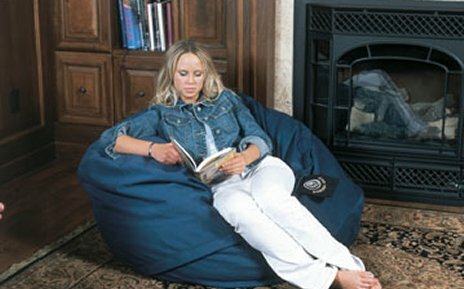 Again, these are not just cheap love sacs, they are state-of-the-art super giant bean bag chairs, large been bag chairs, bean sacks. In other words these incredibly huge foambags are original ShaggyBags. They are not imposters. You will love your Junior ShaggyBag for years and years to come. We have a vacation rental in Yosemite National Park and we got this because it's soft and you can drag it from room to room without damaging the walls. We weren't sure whether guests would like it and how it would handle being dragged back and forth, but it is five years old and still looks brand new. We have gotten numerous comments in our guestbook about how much people liked it. One nine-year-old girl even chose to sleep on it! I was sure by the second night she would want a bed, but nope! I checked in the next day and she said she was going to keep sleeping on it. I think she spent three nights on the bean bag. 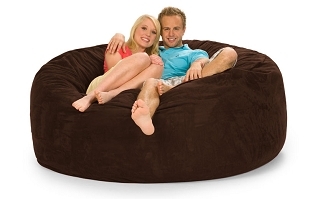 We recently had to get rid of our couch and we were shopping for a new couch and then decided we would rather just have a big bean bag. Comfy, durable and about 1/4 the price. So I'm writing this review five years later because I'm back to buy a bag for ourselves and I saw so few reviews here, which is a shame for a product like this. So even though I'm not big on leaving reviews, I thought people should know that this is a super nice product. Much nicer than I would have expected at the price. I never give testimonials, but honestly I love my ShaggyBag. It is the best piece of furniture I have ever purchased. I love to come home and just curl up and relax on the bag. 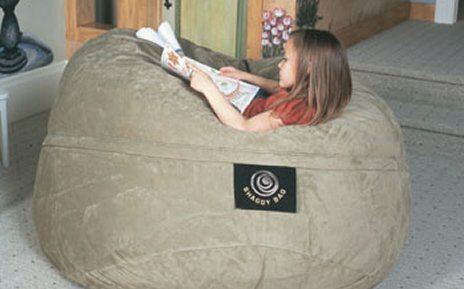 It is super comfy. Thank you so much. Wish I would of found you sooner. My daughter absolutely loves the Junior ShaggyBag that we purchased from you. 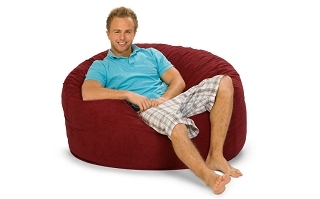 I shopped online for beanbag chairs forever - finally I made my decision and I have not been disappointed. 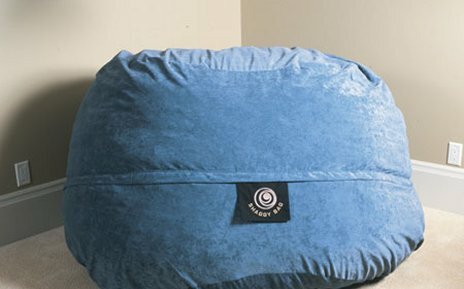 The Goliath ShaggyBag has proven to be nothing but pure comfort. It is like a little piece of soft heaven has fallen to earth. I love my ShaggyBag!!!! My kids love their Junior ShaggyBags. They roll them from room to room and are constantly lounged on them. Finally something that is worth the money I spent. 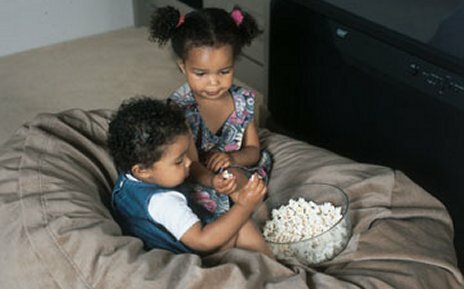 The kids use and abuse the bags and nothing happens. The ShaggyBags we bought are still in tip top shape.